A no-nonsense weapon used in an age when everyone carried a dagger at all times. The hard bitten professional would prefer this stand out weapon . 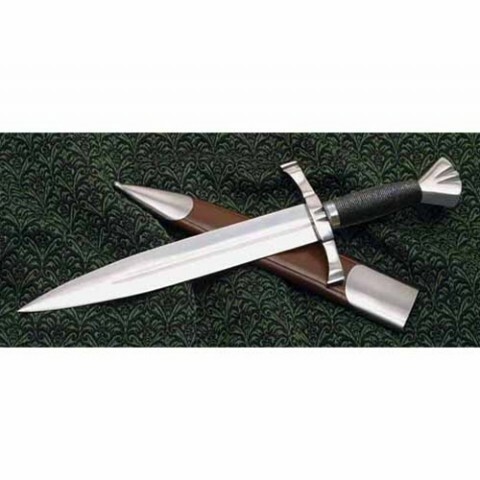 Strong, sharp blade married to a steel guard and pommel. 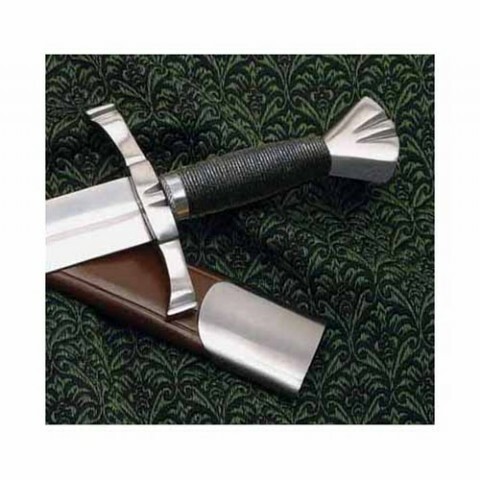 Includes a matching leather scabbard with steel parts.